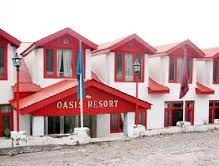 Nestled near to the Jammu-Srinagar highway and surrounded by picturesque vistas, Hotel Asia Oasis in Patnitop is an awesome place to beat the heat of summer. 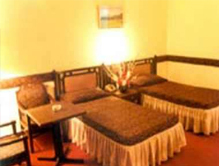 The well furnished rooms of the hotel astonish the visitors and help them to enjoy the holidays with great comfort. Exemplified by first-class hospitality and facilities, it tenders ultimate relaxation with plush facilities. The magnificent setting of the Asia – The Oasis hotel makes it an idyllic place for the business and nature travelers. Accommodation Featuring 32 well furnished rooms with breathtaking décor, it provides a remarkable experience to the tourists. The rooms are very spacious and are equipped with various amenities such as the attached bathroom, running hot and cold water, round the clock room service, television, telephone, rollaway beds and air-conditioner. The tourists can see the amazing vistas from the windows of their room and cherish the long-lasting memories. Dining: Guests can have a great dining experience by relishing different kinds of Indian, Chinese and Continental cuisines. The food is prepared by the expert chefs using fresh products or vegetables to gratify the taste buds of every visitor. To get more information about the Patnitop hotels visit Tourmyindia.com and book the hotel of your dreams that suits your requirements.